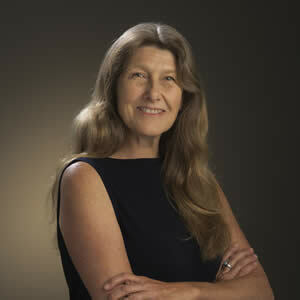 Janice Westlake is a senior associate engineer with Fall Creek Engineering, a Registered Professional Civil Engineer in California and has been a Registered Professional Civil Engineer in Arizona since 1999. Janice’s practice has included 18 years as principal of her own engineering consulting firm focused on low impact site, utilities, grading and drainage design, septic and alternative wastewater systems design, stormwater management and hydrology studies for residential, multi-family and commercial projects. Her background includes water/wastewater and traffic engineering in addition to Co-Owner and Vice President of an Environmental custom home building firm in Arizona responsible for design and business operations. Her construction experience also includes a decade in landscaping and irrigation design and installation prior to beginning her civil engineering career, making her unique in the ability to draw from her construction management and hand’s-on field experience resulting in projects engineered to be effective and economical through completion. Well versed in AutoCAD, Civil 3D, HEC-RAS and other site design and utility modeling applications, Janice assists clients with project management and development, design, permitting, and construction management. In service over the past 8 years she has held the positions of Pres, VP, CFO and currently Treasurer of Circles of Empowerment, a nonprofit organization located in Arroyo Grande, CA. Janice holds a B.S.E. in Civil/Environmental Engineering from Arizona State University.